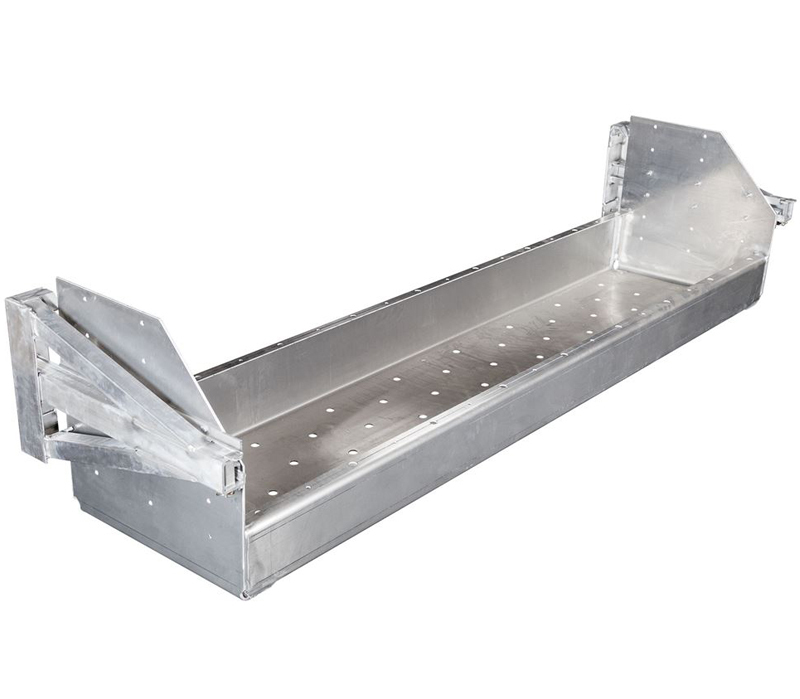 Easily secure and store your dunnage under your trailer with this durable dunnage rack designed for flatbed and step deck trailers. This rack efficiently hauls 10 pieces of 8′ 4×4’s fully in rack, or up to 16 pieces if you use tie-down straps. 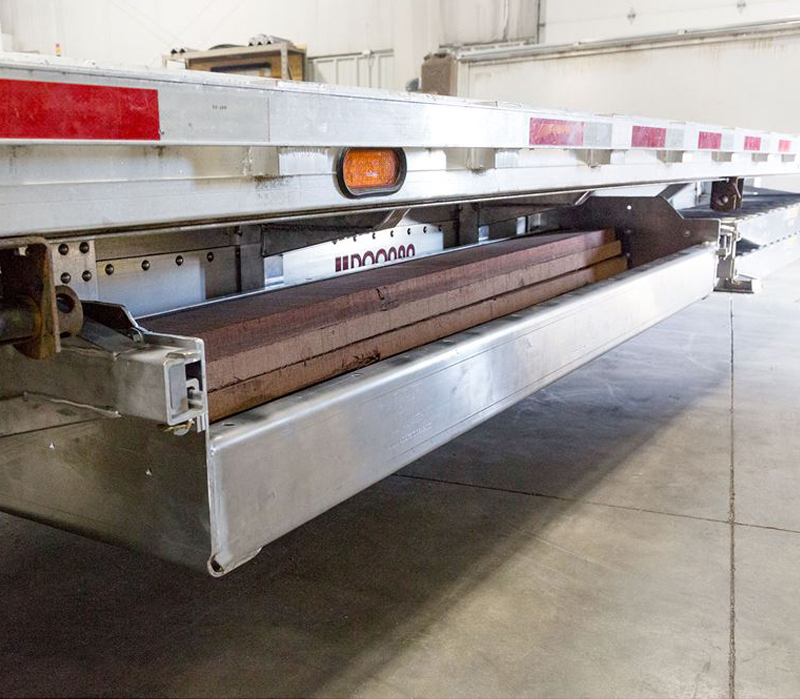 Mounting dunnage under the trailer frees up valuable space, which allows you to carry more cargo, increasing your payout per load. These racks can be locked for extra security against theft with a simple padlock (not included). This dunnage rack includes specialty hangers allowing the system to safely move and shift with your trailer while driving. When the dunnage rack is not in use, it can be removed from the hangers to free up additional weight.